How to Cure Irritable Bowel Syndrome? Irritable bowel syndrome, or IBS, is a condition in which the colon becomes very sensitive, causing gastrointestinal issues, such as constipation, diarrhea, gas, bloating, cramping, and a distended stomach. The good news is that IBS does not damage the digestive system. Sometimes the patient switches back and forth between constipation and diarrhea. The causes of IBS are unknown. Some guesses are anxiety, reaction to food or antibiotics, hormonal changes during menstruation, infection, or abnormal brain signals to the colon. Treatment options are varied. Doctors will first rule out other conditions. After that, treatment might involve changing one's diet to avoid sugary foods, alcohol, and caffeine, and eat whole grain foods. Another IBS cure is to reduce stress and anxiety with exercises. A third option is to treat the symptoms with anti-diarrheal medications, or those that fight constipation. There are a variety of prescription medications also available, although most people prefer natural alternatives such as our product Bavolex. In the U.S., roughly 15% of the individuals have experienced IBS. Young people experience this first. The number of girls having the condition is twice as many as men. IBS is normally related to anxiety. There has been no known IBS cases that damaged the gut or caused cancer, however the condition is very unpleasant. Having said that, long-term IBS may cause hemorrhoids or depression. Based on doctors, there could be a connection between a IBS and neurological issue. Signals are sent between the brain and intestines. When the person is stressed, the brain's performance affects the movements of the intestines. This issue causes the intestine muscles to move food through the intestines too slowly or too fast. Because of the condition, constipation and bloating or diarrhea and painful cramps can happen. People with sleep problems, stress, and anxiety might develop IBS. There are OTC meds to cope with constipation or diarrhea and people think they are the best treatment solution. These drugs provide only short term relief. It is impossible to fix the real issue with these medications. Anxiety pills may be given by the doctor because of the connection of IBS to stress and anxiety disorders. Though these may somewhat help IBS, many people develop dependence. Furthermore, these drugs consist of harsh synthetic chemicals which may have unsafe side effects. When you follow the instructions in the eBook and use Bavolex as directed, you'll notice a considerable improvement in less than a week. We want to make our customers happy and healthy, and that's why we offer a 60-day money back guarantee. Our guarantee is simple: If you don't see an improvement, we do not want your money! Manufacturing safe products is extremely important for us. Bavolex™ contains natural ingredients from plants and herbs that are considered safe. Our customers have been using Bavolex for many years, and so far no adverse events (side effects) have been reported. As is the case with many other products we recommend that you don't use Bavolex products while nursing or pregnant because the effects on fetus have not been evaluated. You should not take Bavolex if you are taking blood thinning medication or antidepressants. 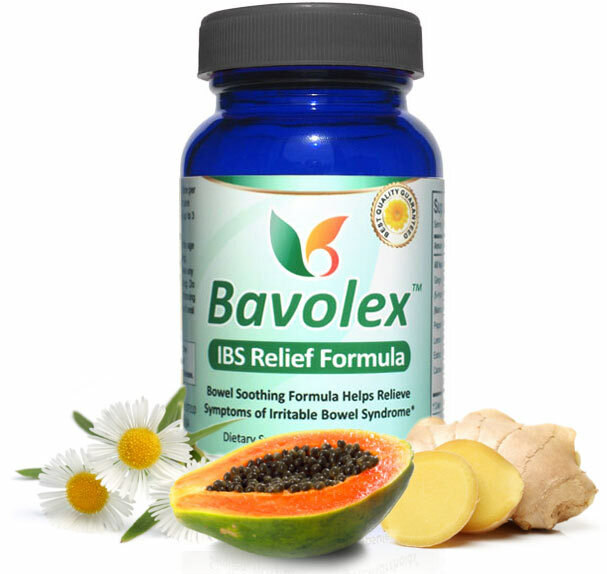 "Bavolex IBS Relief Formula is a dietary supplement formulated with enzymes and natural extracts to help control symptoms of Irritable Bowel Syndrome. 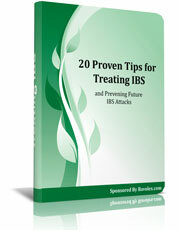 *"
Learn 20 helpful tips to get rid of Irritable Bowel Syndrome attacks forever. These tips cover stress reduction, diet, and ways to prevent an IBS attack. This no-nonsense eBook comes as a bonus when you order Bavolex today. A must-read for those who want to stop Irritable Bowel Syndrome today. 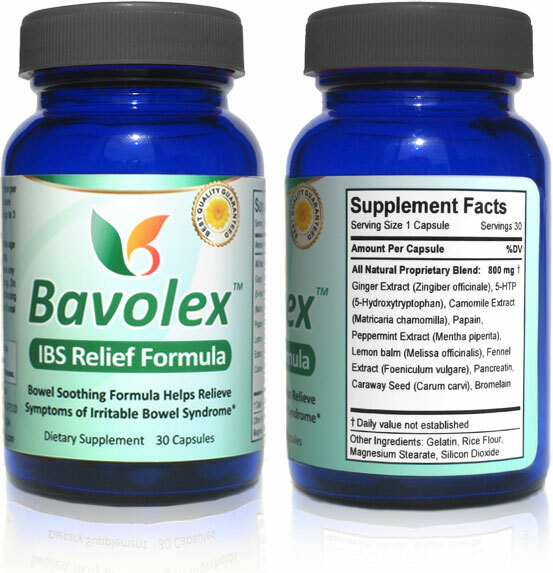 Natural irritable Bowel Syndrome relief Improve Digestion Bavolex supplement uses all-natural ingredients such as peppermint, chamomile, fennel, ginger and lemon balm, to name a few, for natural IBS relief.